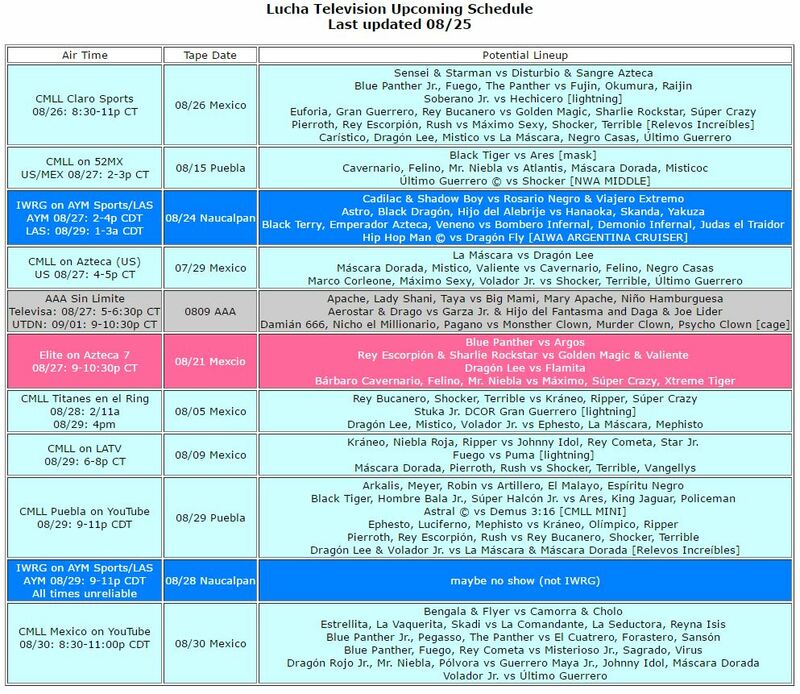 CMLL is back on ClaroSports Friday night. AAA is the final build to TripleMania, the cage match should air, and maybe the other matches that lead into TripleMania. Or not. Elite should have Dragon Lee vs Flamita, and maybe useful info on Elite. I’m not sure if the Sunday IWRG show airs, since it’s not really an IWRG show.